Dr. Jag Gill and Dr. Kuv Gill opened their third optometry practice in 2009. 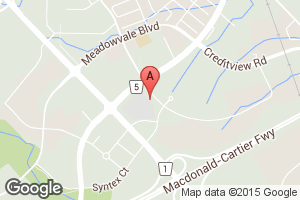 Located at the southeast corner of Derry and Mississauga Road you will find the office easily accessible from Meadowvale or central Mississauga. The doctors understand that patients require thorough eye exams with honest advice and reasonable recommendations. Our main objective is to ensure you get the answers to your questions about your eyes and vision. Dr Jag Gill has been an Optometrist for over 20 years. He graduated from the University of Bradford in the United Kingdom completing his training at the Halifax and Bradford Royal Infirmaries. He went on to study at the New England College of Optometry in Boston finishing with top marks in his international graduating class. 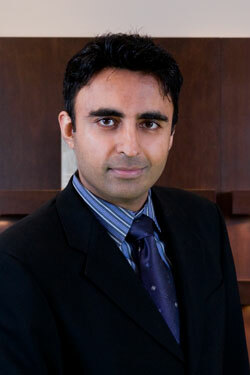 Dr. Jag Gill has certification to practice in UK, USA, and Canada. 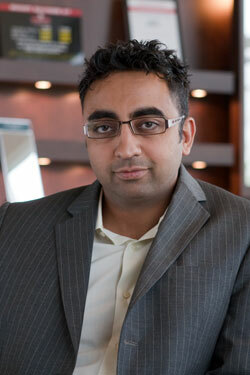 Dr. Kuv Gill has been an optometrist for over 14 years. He graduated from the New England College of Optometry in Boston after training at several Boston area hospitals. Dr. Kuv Gill has been a Canadian National Boards clinical examiner in which he was responsible for ensuring competency for new optometrist. He has a special interest in treating eye infections and certain inflammatory conditions of the eyes. He has been living in Mississauga for over 30 years, and has 2 cute little kids aged 1 and 4.